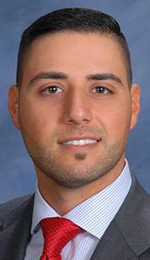 Jaffe, Raitt, Heuer, and Weiss Law Firm has hired Justin Hanna as an associate at its Southfield office. In his new role, Hanna will concentrate his practice on helping entrepreneurs and business owners with all aspects of formation, governance, operations, and other general corporate matters. He will also assist in the representation of owners, developers, operators, and investors in commercial real estate transactions. Prior to joining the firm, he played a role in the founding of the Transactional Law Competition at Wayne State University Law School, where he served as the program’s chair after successfully competing in both regional and national transactional competitions. Hanna, of West Bloomfield, earned his Bachelor of Science in business administration at Wayne State University. While attending law school, he earned a Juris Doctor at Wayne State University and a Master of Business Administration with a concentration in finance from Wayne State University’s Mike Illitch School of Business.